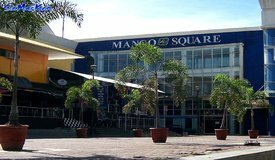 When going out to Cebu nightclubs, especially on the weekends, be sure to check out Mango Square. By day, it is a rather quiet small mall located on Mango Avenue near Fuente Circle and anchored by National Bookstore. On Friday and Saturday night a complete transformation takes place and the party crowd starts arriving. The music starts up and the mood is relaxed and friendly with a combination of Filipinos, foreigners, and tourists from all over the world hanging out and having a good time. There are several Cebu Nightclubs that open in the evening at Mango Square. Your time in Cebu would definitely not be complete if you didn't explore the nightclubs of Cebu. The music played is mainly pop, and if you like a fun and lively atmosphere then the nightlife here won't disappoint you. The prices of drinks and food are reasonable and you will feel comfortable hanging out and drinking an ice cold beer! Autoshop Bar, Juliana, and Pump are just a few of the nightclubs at Mango Square to enjoy. You can have a good time either inside with some booming dance music that gets your body moving, or you can enjoy the cool breeze outside while sipping on an unlimited selection of liqueurs, brandies, exotic spirits or San Miguel beer. When you are in Cebu, head on over to Mango Square and have some fun in a relaxed and friendly environment and mingle with locals and foreign tourists alike. Entertainment is one thing that Cebu has a large supply of and the nightlife and nightclubs are no exception. Almost every night is a night to party in Cebu and people like hanging out with their friends or colleagues. Filipinos are friendly, fun-loving, and they like to sing and dance every chance they get. So, join in, let your hair down and have a good time at some of the Cebu Nightclubs when you are in town!